Nose: Light. I get lots of Grain and slightly Sharp Alcohol, the usual suspects in a Bottom Shelf Blended Scotch. I also find a little Grass and Straw, Dried Fruit, Toasted Nuts, Young Green Branches, Brown Sugar, light Spices, a touch of Honey and some Caramel. When nosing the empty glass later on I was quite surprised to find Floral Tones and a bit of Fruit (Peach or Apricot). Palate: Watery, Sugary Sweet and Hot with Grains, young Oak, Nut Shells, Pine, Grass, Dried Fruit, Toffee, light Vanilla and Pepper. Finish: Short, Sweet and Hot with Grains, Sugar, light Oak, Toffee and Pepper. With a bit of Water, the Alcohol retreats somewhat on the Nose. On the Palate I get a bit of Dried Apricot as well. But the Blend becomes too Thin and starts to smell and taste like a flavoured Vodka. General Remarks: According to the packaging, the real life Clan MacGregor has a renowned history dating back to the 14th Century. The bottle includes The Lion's Head, the personal crest of the 24th Clan Chief , Sir Gregor MacGregor. This Whisky is blended and bottled by Alexander MacGregor & Company of Glasgow. It is a Blend of 15 Malt Whiskies and selected Grain Whiskies. It is said that the Kininvie Distillery, located in the backyard of The Balvenie, is the main Malt used in Clan MacGregor. This Blend is very cheap. Prices vary between 15 and 20 US Dollars. Drinking Experience On The Rocks: Thin but Drinkable. If you want, you could consider giving it a bit of a face lift by mixing in a Smoky Blend like JW Black. Conclusion: The Clan MacGregor Blend does not give us many interesting Aromas and Flavours. No irritating off-notes as well. The Nose is quite acceptable given the low price and it's a pity that the Fruity Speyside tones I found when I nosed the empty glass are overpowered by the other Aromas when your glass is filled. But on the Palate and in the Short Finish the Clan MacGregor underperforms. It's basically a Watery mixture of Grain, Sugar and Pepper. I've said it before and I will say it again. At this price level it's better to drink a Standard Bourbon. I love it, my grandaddy was from Scotland and he got me hooked on it. I really don't care for American whisky. I think its all a matter of taste and if you like it or not. Thanks For Commenting! A pity you didn't leave your name. You're quite right of course. It's always a matter of taste. And taste is a very personal thing. In my opinon though it's hard to find a decent quality Scotch at this price level. I think that Bourbons offer more quality at this specific price level. But, like you say, there are many people who find Bourbon too sweet or otherwise don't care for that flavour profile. Cheers, Jan.
Hi there, thanks for commenting! A pity you didnt leave your name! I agree with you that price is of course aways an issue to be considered. You might want to follow my suggestion one day and mix in a bit of for instance JW Black. It improves quickly this way. How about starting you own Lotto over there? Cheers, Jan. If a bail of hay could fart, this is what it would taste like. All kidding aside, this is my favorite of the bottom shelf. I keep it on hand while I wait to have extra money for a nicer scotch. Also, doesn't bother me if the wife wants to mix it with cola or use it to clean something. LOL, fortunately they don't! Thanks for commenting. Next time please leave your name! LIke I said above, you might want to try to mix Clan MacGregor (3 parts) with some Malt whisky or a good blend like JW Black (1 part). It really improves quickly that way! Cheers! Looking for something with the smokey flavor easier on the wallet. Thanks for commenting Emily. I also prefer single malt but with today's prices it's becoming very difficult. 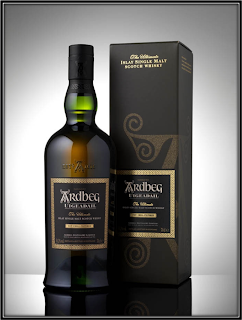 If you like smoky whisky you could also try to buy for instance an Ardbeg 10 Years and add a little (1/5) to a smoky Blend like JW Black or Black Grouse. It works well! Cheers, Jan.
Hi James, I'm afraid I don't know. I googled Alexander MacGregor & Co Ltd in Glasgow but nothing pops up. You probably did that as well. I will keep on looking and if I find something I will let you know here. You're welcome James! I'm curious indeed so please keep me posted! Hey Tomas, Better Luck Next Bottle! i spotted clan mcgregor for 100 pesos ,about 6 u.s. dollars ,at a walmart in juarez mexico,thanks for the review,i will be picking some up and tryig it this weekend.i hope ice and ginger ale are enough. When you haven't had a scotch in years, the first impression is very nostalgic. Authenitic comes to mind. I would have to have a single malt, a top shelf and another, maybe Dewars or such at same time to compare. I intend to use with Dram Buie... Rusty Nail for holidays, one of my favorites. Should be more than adequate. Hi Ben, Thanks for commenting and for your kind words.Look forward to hear your opinion! Cheers! Hi, 6 Dollars is really nothing! In Brazil it easily costs 35 Dollars. At 6 Dollars you can't go wrong when you mix it! Cheers and Have a Great Weekend! why do some bottles have black lids and some have red lids? Hi TJ, thanks for commenting. I honestly don't know. Here in Brazil I have only seen the black lids. But as far as I know it's the same whisky. Hi there! A pity you didn't leave your name! It's difficult to say because I don't know where you live and prices vary a lot around the world. 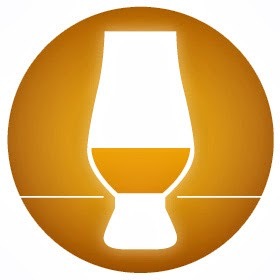 But there's a post on my blog called: Complete Ranking of Reviewed Whiskies. Did you get a chance to look at that? I still believe that the JW Black has the best price/quality ratio but I suppose it's a bit more expensive.Under 30 US Dollars you can't expect Whisky Paradise especially in today's booming market. Another option is Jameson from Ireland that also has a good P/Q ratio. In general, at this price level you're better of with Bourbon than with Scotch! Hope this helps! Yep Bob! I will review Bulleit in the next few weeks. Look out for it! Cheers! Hi Kostas, thanks for commenting. I suppose you mean US$ 7? Because 70 Dollars would be paying way too much for this Blend. At 7 US Dollars however, you can't go wrong! Thanks for your opinion Harrison! If you like this Blend try out a Single Malt like Ardbeg 10 or Laphroaig 10 is you ever get the chance. You will like it a lot! It's rare to find good blend with affordable price in a conservative country. Royal is my race... thumbs up..
Macgregor at, there was a $2.00 off coupon for either Clan or grants. I'm wondering if their is some sort of colaberation going on. Hi Jayant, thanks for commenting! Sorry for my late reply but I am traveling at the moment! I think it´s rare to find a good blend at an affordable price in any country! I still think JW Black has the best price-quality ratio of all standard blends but it´s not really cheap unfortunately!Cheers! Hi there, thanks for your comments and kind words! Please leave your name next time!I have not heard of any collaboration between these two blends but your guess is as good as mine! The price of all whisky is going up unfortunately and it´s no wonder people start looking for alternatives like Bourbon, Rum or Vodka. Cheers! Fine review, Jan & I would agree this bottom shelf blend does nothing exceptional, - but - it also does nothing offensive. Call it the Toyota Corolla of Scotch maybe? Factor in the cheap cost & it makes for a perfectly serviceable scotch & soda. There's a time & place for single malts & August in Ohio is neither. While I'd prefer a couple fingers of Talisker or Highland Park or Monkey Shoulder for that matter, when it's hot & humid, I enjoy a Scotch & Soda as much as any drink. Grants is my go to for this, but the local booze monger was out. I picked this up on a whim & am glad I did. Hi Mark, thanks for your kind comment. Sorry for the late reply but I was traveling (and drinking beer) in Europe! I agree with you that there's nothing offensive about this Blend. And it surely is cheap in most places. I understand your climatic issues as well. I have the same challenge here in Brazil. Still, I prefer a good standard Bourbon on the rocks when it's hot! Or a Caipirinha for that matter! Cheers Mark! Hi Maria, thanks for commenting! I have to admit I never tried that combination. I'm used to drinking my Single Malts neat and most of the blends on the rocks. For people starting to drink whisky I would usually advice to begin the adventure with a nice simple Speyside Malt like the Glenlivet or something similar. Have a Great Weekend! For many years are a great drink,but in the last eight month change label and test.Rigth know test more then alcohol with a fake test.Sorry,but this is my opinion ,after use this drink for over 14 years. Thanks for commenting! Please leave your name next time around! It's a very basic blend that does not have much to offer. I must admit I only tasted more recent bottles. Based on those, I agree with you! Cheers, Jan. I like it very much! Best of the bottom shelf. Like it straight and room temperature! Hi there, please leave your name next time when commenting. I'm really sorry about the extremely late reaction but I failed to notice that Google stopped advising whenever a comment is made! I'm glad you like the Clan MacGregor. 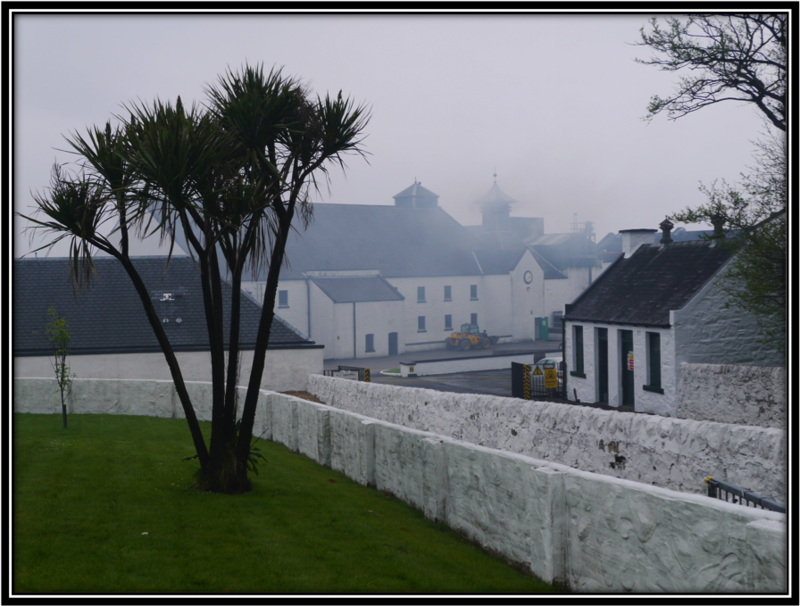 I really hope you will have the opportunity to try an Islay Single Malt sometimes. You will love it!! Cheers, Jan.
Me voy a escribir en español. Pues soy brasileño y mismo que hable en inglés, me siento más confortable en hablar en español. El whisky es muy agradable, tiene el sabor de un bueno escocés. Para chupar todo el día. Bueno sabor. Ola Estevao, muito obrigado pelo comentario. Que bom que voce gostou! Acho que vai gostar ainda mais se voce mistura 3/4 Clan MacGregor com 1/4 Johnnie Walker Black Label! Saludos! Ola Pedro, desculpe a demora mas estava viajando. Para comecar apreciar Single Malts, Glenfiddich 12, Glenlivet 12 e Balvenie Double Wood sao boas opcoes. Cheers! Hi Henry, sorry for my late reply but I was traveling! The Clan MacGregor has a very reasonable Price/Quality ratio but it remains a quite thin on the palate in my opinion. You can remedy that by adding say 25% of for instance Johnnie Walker Black. Cheers! I have enjoyed this scotch, over icefor the past year and find it to be on par with more xpensive brands if not better than. Here in Panama, it has dissappeared in local stores, my store owner commonly sold it to customers by the case, she said she has called distributor and it is no longer available here. Can't you make more? Hi Marshall, It's still available in Brazil as we speak. I have just checked the Clan MacGregor website and Panama is mentioned as one of the key markets. So I'm pretty sure it will reappear. Maybe you could leave a question at their website. Cheers and thanks for commenting! Hi Chandrashekar, thanks for commenting! Glad you liked it! Cheers, Jan.
Hi. 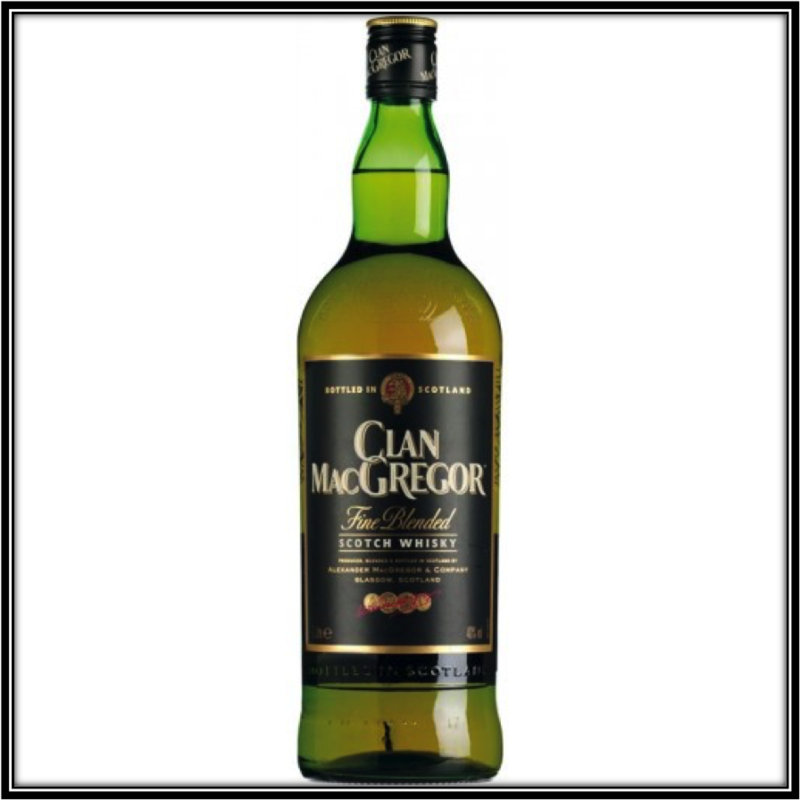 Just wondering if Clan Mac Gregor is for sale anywhere in South Africa...I am born Mc Gregor, however our family crest is the exact same as on the bottle. I have no definitive info that states my family are direct descendants, but its still cool to think of it being a possibility!! 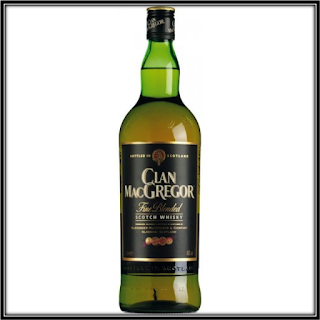 I am trying to find a place here that sells Clan Mac Gregor in South Africa, but just can't seem to find it anywhere. I would love to try it at some stage...And what are your thoughts on the 1980 (my birth year) blend? And why do some bottles have a completely different crest on them? Is there a difference? The Blends of the 1980's, even the cheaper ones, have generally speaking better quality because of the fact that better casks were available to the Blending industry as Whisky demand wasn't so booming as today. Nevertheless, don't expect miracles as well because it is what it is, a Blended Whisky with around 70% of neutral Grain Whisky. Can't expect tons of flavours and Aromas. Good luck with your quest! As an avid scotch drinker i would recommend this blended. The price and also the smoothness are sure-fire winners across the board, a few cubes of ice and even a dash of lemonade are my preferred ways of consuming it. Good review and i agree the price of anything enjoyable has risen exponentially worldwide. Hi there, thanks for commenting! A pity you didn't leave your name! Thanks for your kind words! And yes, prices have gone through the roof these days! Can't say the same about quality in general I'm afraid! Let's hope that supply and demand will be more balanced in the future! There are a lot of people writing about whisky. There are few people that write independent reviews. If you have to believe the first category, there are only excellent whiskies. That just is not true. There are a lot of excellent whiskies yes. As there should be because whisky today is expensive! But there is a lot of indifferent product and some stuff is just not good enough. There is a clear need for independent reviewers. I am one of them. I have nothing to do with the industry. I don't sell anything. I don't have the perfect Palate. My opinion is as good as yours! I just taste whiskies and tell you what I think about them. That's all. Interview Jan on German Website "Whisky und Frauen"
Best Shot Whisky Reviews is my personal site. Since I'm discussing alcoholic beverages, people who are not of legal drinking age should not visit my blog. I do not and can not make claims to the accuracy of the contents on my site. I also can't be responsible for - or agree with any possible comments left on my site by others, or any information found on links from my site, if any. All pictures used are merely reinforcing and illustrating the subject. 1- Don’t Drink and Drive!! 2- Always Drink with Moderation!! 2011/19 - Best Shot Whisky Reviews Texts All Rights Reserved - Photos for educational purposes only. Simple theme. Powered by Blogger.